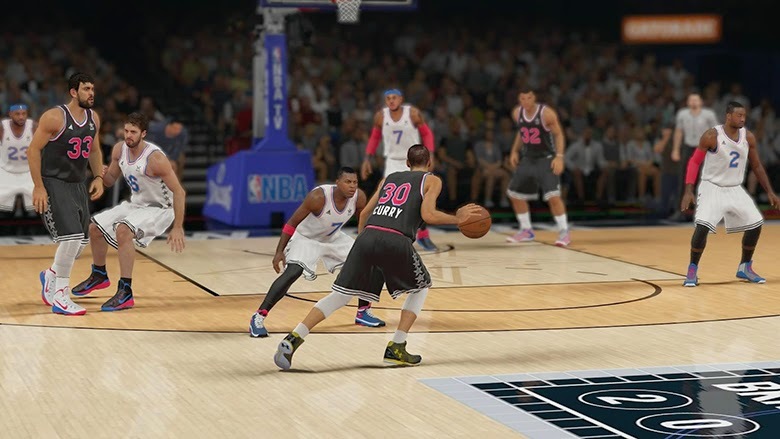 Today's roster update for NBA 2K15 included the players for the 2015 NBA All-Star Game, which takes place in New York City on Sunday, Feb. 15, at Madison Square Garden. The starters for the East are John Wall, Kyle Lowry, LeBron James, Pau Gasol and Carmelo Anthony. The reserves include Kyrie Irving, Chris Bosh, Jimmy Butler, Al Horford, Paul Millsap, Jeff Teague, and Dwyane Wade. Stephen Curry will start for the West alongside Kobe Bryant, Anthony Davis, Marc Gasol and Blake Griffin. The reserves include James Harden, Klay Thompson, Kevin Durant, Russell Westbrook, LaMarcus Aldridge, Tim Duncan, and Chris Paul. The news on DeMarcus Cousins replacing the injured Kobe Bryant came too late, but will be updated tomorrow.